Small Business - Simple is Smart. If the answer to any of these questions is a "Yes", then read on. Powervieux CRM is a cloud based solution. What does this mean for you ? Powervieux uses the same 256-bit encryption as banks to secure your session from login to logout. Customer data - Simply Organized. 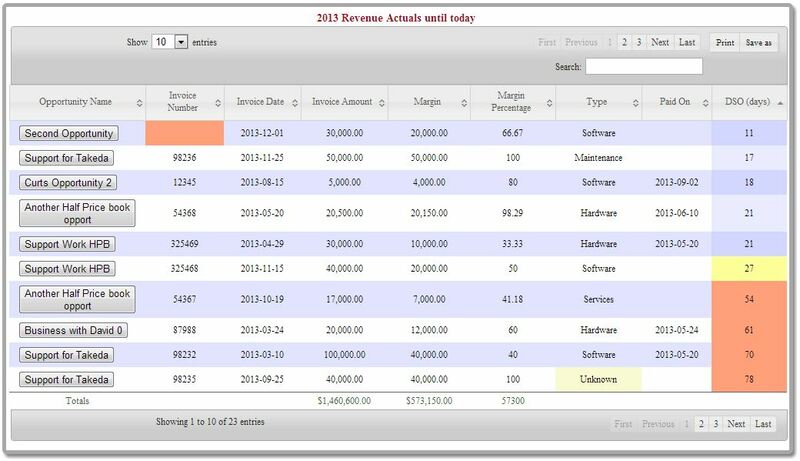 Powervieux automatically organizes your customer data conveniently. 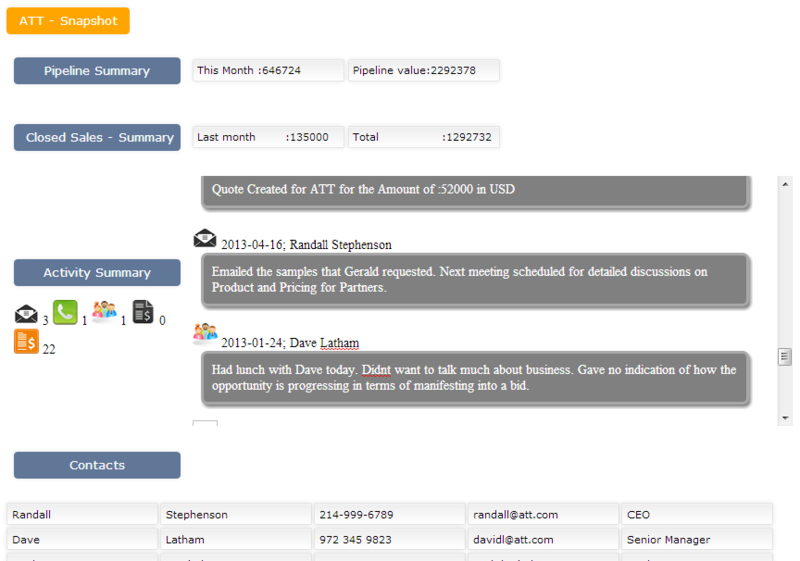 You can see details such as customer contacts, business volume and interactions. Adding or modifying customer data is super easy as well. Headsup on Invoices becoming overdue. On-time cash collection is super important for small businesses. Powervieux highlights invoices that are already overdue (in orange) as well as invoices that are about to become overdue (in yellow). To act on an Invoice problem, simply click on the Opportunity Name to get details of who to call. Sales activity at your fingertips. You can look-up customer data with one click. And you can slice and dice customer activity information in many ways. For example you can look up Activities by Customer Name, by Sales rep or by product. You can do many more things with Powervieux. Click on this button to learn more. Call us. Get signed up. Get smart.